We think anytime is a good time to visit the National Capital Region, but autumn is by far one of our most colourful times of year. The tulips and gardens may just be memories in October, but the blazing glory of the deciduous trees and the soft warmth of sun along the Garden Promenade combine into a Fall Rhapsody that is renowned world-wide. Bring your camera and put your hiking boots on. There is so much to see and explore you’ll want to make this spectacular season part of your annual sojourn to the Capital. Watch here for more information soon. 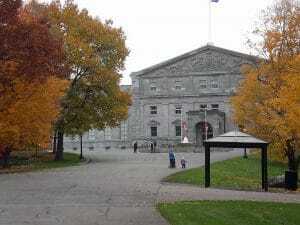 Canada’s Capital Region – Come and see the magnificent fall colours throughout the Capital Region! 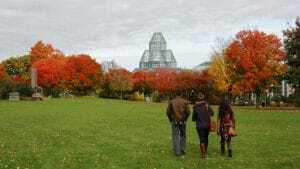 From Gatineau Park to the Greenbelt and the Capital’s urban parks, enjoy the spectacular fall foliage in the region’s parks, and along the pathways and shorelines. In partnership with Société de transport de l’Outaouais and Camp Fortune, the free NCC shuttle is back. With departure points in Ottawa’s ByWard Market, Gatineau and Camp Fortune, the NCC shuttle will link to Gatineau Park’s most popular destinations: Pink Lake, the Mackenzie King Estate, King Mountain and Champlain Lookout. Return trip: Last shuttle from Champlain Lookout (stop no. 14) to Ottawa–Gatineau or Camp Fortune at 4 pm. 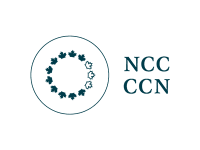 Routes, stops and schedules are available on the NCC’s interactive map. On Fall Rhapsody weekends, from 10:30 am to 4 pm, the southbound lane of Fortune Lake Parkway (toward Champlain Lookout) will be closed to all regular traffic (including cyclists), and open exclusively to the Fall Rhapsody shuttle. The northbound lane of Fortune Lake Parkway (toward Dunlop Road) remains open to all traffic to allow motorists and cyclists to access Camp Fortune and Chemin du Lac-Meech. Discover Gatineau Park in a new way, by travelling to the four corners of the Park, where the fall foliage is bold and bright, and with fewer visitors than at some of the destinations closer to downtown. During the next two Fall Rhapsody weekends, the NCC organizes special events in partnership with the municipalities of Chelsea and Pontiac, as well as the communities of Kitigan Zibi Anishinabeg and the Algonquins of Pikwakanagan First Nation. Visitors can get a taste of local flavours, watch artists at work, chat with NCC nature interpreters and meet local merchants. Join us as Gatineau Park celebrates Algonquin culture. Anishinabe Nibin, or “Algonquin summer,” is a great opportunity to learn more about the traditional Algonquin way of life, as well as a chance to see artisans at work. Organized in collaboration with the communities of Kitigan Zibi Anishinabeg and the Algonquins of Pikwakanagan First Nation. A popular annual event, the Pontiac Country Fair provides an opportunity to discover the region’s various products and services, as well as the artists and artisans who add colour to the local culture. Organized in collaboration with the Municipality of Pontiac. Come and admire the stunning colours of the magnificent maple trees, and enjoy a variety of family activities at Philippe Lake. Bring a lunch: Breton Beach is equipped with barbecues and picnic tables. Take advantage of the weekend to discover must-see attractions around Wakefield, such as the Fairbairn House Heritage Centre, as well as local farm producers and merchants featured in a tour of the municipality. Truly spectacular, yet still a secret to many, Canada’s Capital Greenbelt offers dazzling views of fall landscapes—and 150 kilometres of trails. Mer Bleue, one of the most studied wetland environments in the world, offers 20 kilometres of hiking trails and boardwalks to admire the brilliant fall colours. To enter, add #FallRhapsody and @NCC-CCN to your photo and post it on Instagram before October 31, 2018. You could win an overnight stay in a four-season tent this winter in Gatineau Park. 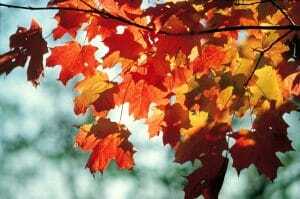 Fall has truly arrived, with the long Thanksgiving weekend just around the corner! Thanksgiving traditionally celebrates the fruits of our majestic Mother Earth’s labours by highlighting the abundance of the harvest throughout the weekend. 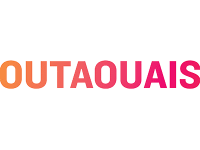 Guided by the Table Agroalimentaire de l’Outaouais team, come discover the many activities taking place in the area to promote regional products and the artisans who grow and bring them to your table. 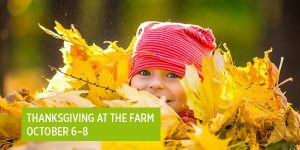 Come to the Canada Agriculture and Food Museum this Thanksgiving weekend to celebrate the harvest! At this time of year, many Canadian farms are harvesting the food crops that will sustain us throughout the year. Come see some of our farm machinery on display as well as watch a baler in action! Discover fun facts about corn and apples and sample fall recipes. Explore several pumpkin varieties and learn about the pumpkin’s life cycle. Children are invited to get creative with a fall themed craft. Other activities include livestock-related demonstrations. Admire agricultural machinery which is used to cut, dry, compress and store hay. Watch as a hay baler compresses hay into compact bales. Explore all things corny! Learn about the history of corn, its many varieties and watch how traditional corn shellers were used. And what’s one of the tastiest snacks made of corn? Popcorn of course – try a sample. Learn how to make an easy and delicious healthy soup with butternut squash. All visitors are invited to have a taste. Explore the different pumpkin varieties and learn about the pumpkin’s life cycle. Interesting pumpkin facts will be shared throughout the day. Learn how to make a delicious apple dessert. This cooking demonstration also features the history of the harvest in Canada and a sample of this tasty treat. Test your taste buds in this apple guessing game! Visitors are invited to sample apple pieces and guess their variety. Come join the fun with a fall themed craft to take home. Many visitors may not know that the Museum’s horses all get routine hoof care. The farrier will be on hand Saturday morning to demonstrate this essential element of keeping horses hard at work and healthy. The Hot Potato Company Food Truck will be on site to offer food services. A vibrant celebration of Ottawa’s horticultural heritage, raised beds display a variety of plants and themes, with 7 beds of plants of Indigenous importance. 2017 plantings mark a centennial celebration of the start of the Victory Garden initiative. The Garden of the Provinces and Territories is located on prestigious Wellington Street, across from the National Archives. 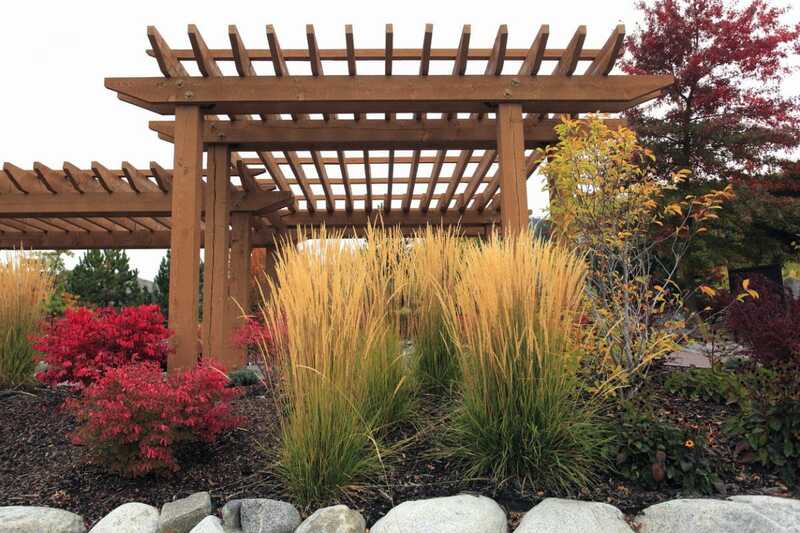 This 1.6-hectare/4-acre national garden was redesigned in 2015, in the New Perennial Movement style, using mixtures of long lived, long flowering, strong stemmed perennials and ornamental grasses with interesting seedheads, fall leaf colour and winter bark. 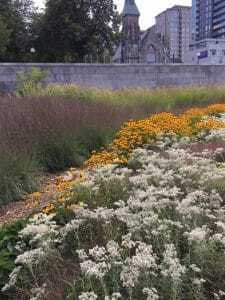 Dominated by Canadian native plant species or their cultivars the gardens also represent three distinct landscape types, woodland (upper terrace), prairie and tundra (lower lawn). Built in 1886, this former water tower is now home to the Théâtre de l’Île and is a most beautiful site. The first municipal theatre in Quebec, it provides a magical meeting site for local and visiting audiences and artists. For showtimes and tickets to live theatre, visit the website. The official residence of the governor general is set amidst 32 hectares of beautifully landscaped grounds of rolling lawns, winding paths, woods, perennial beds and gardens. 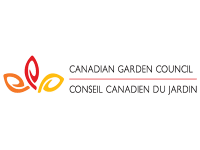 Don’t miss the Canadian Heritage Garden and its 11 circular flowerbeds with over 200 varieties of winter-hardy roses, and marvel in the splendour of the Grove of Dedicated Trees as the leaves take on beautiful multicoloured fall hues. 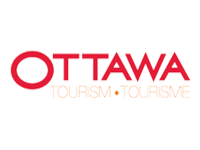 This park features some of the best lookouts in Ottawa, offering stunning views of the Ottawa Locks on the Rideau Canal, the Ottawa River and the Parliament Buildings. 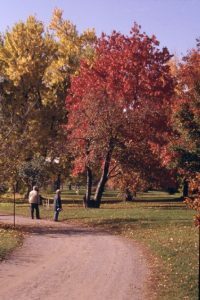 Take a stroll through the park’s stately trees as the leaves change colour with the change of season, over its rolling lawns and winding pathways, and learn about its history through a series of interpretation panels. When not being used for events, Confederation Park is an urban oasis away from the hustle and bustle of downtown Ottawa. 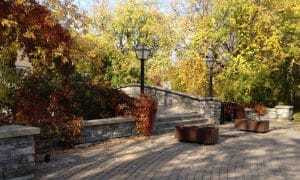 The park opened in 1967 as part of Canada’s centennial celebrations, and today is a popular feature of Confederation Boulevard, the Capital’s ceremonial and discovery route. 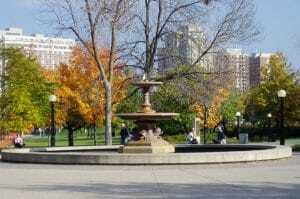 Confederation Park hosts several sculptures and monuments, like the South African War Memorial, the National Aboriginal Veterans Monument, and the memorial fountain honoring Colonel By, which stood for nearly a century in Trafalgar Square in London, England. 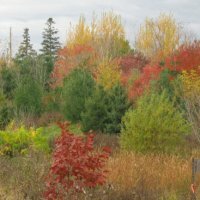 Located on 64-acres of rolling land, the arboretum was developed to test the hardiness of woody plants in the Canadian climate. 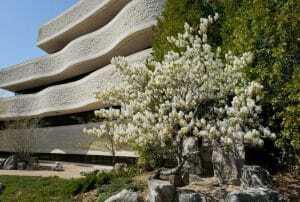 With a variety of micro-climates and showcasing a range of woody plants, the collection contains around 4000 specimens. 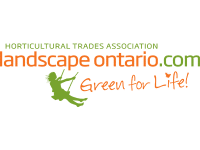 A beautiful organic garden with two distinct sections including wildlife-friendly native plant displays, perennial beds, water feature, rock garden, a managed woodland, a ravine with a pond and a wildflower meadow offering wildlife habitat and food. This outdoor exhibition space on the museum’s property features about 60 native species of trees and plants (including grasses, sedges and mosses). They are species that are typically found in Canada’s boreal forest, Arctic tundra and prairie grasslands. 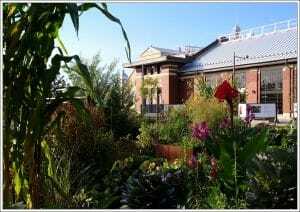 For opening times and more information about the gardens, visit the museum’s website. 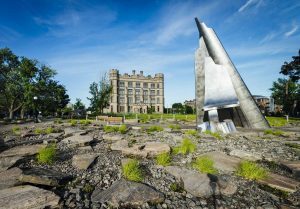 One of the largest of its type in North America, the green roof of the War Museum is over 10,000 sq m. Designed to function as an ecosystem, it blends architecture with nature. 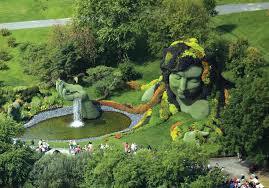 A must visit to experience nature being integrated into urban settings. Using paper containing poppy flower seeds, write a private message to someone you’d like to remember. 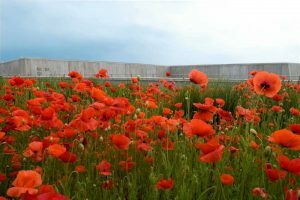 In the spring, the War Museum will plant the messages in a commemorative garden. In conjunction with the special exhibition Vimy – Beyond the Battle. For more information and schedule, visit the museum’s website. Designed in 1995 by Zen monk and Landscape Architect Shunmyo Toshiaki Masuno, this peaceful garden melds the serenity of a traditional Japanese Zen garden with plants and materials native to Canada and the National Capital region.